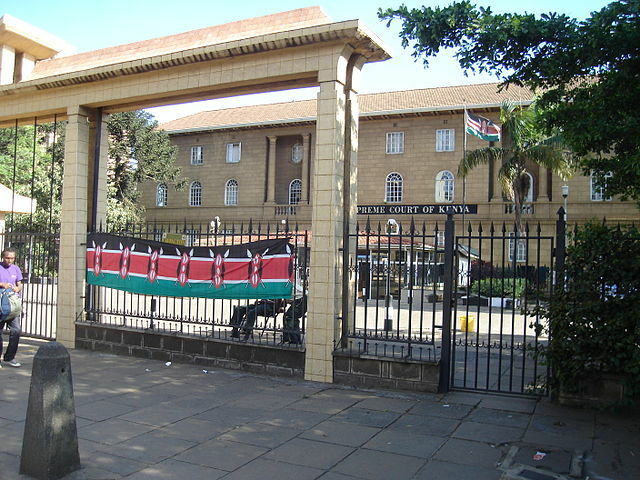 [JURIST] The Supreme Court of Kenya [official website] ruled [press release, PDF] Monday that eight sections of the nation’s controversial anti-terrorism law are unconstitutional. The Security Laws (Amendment) Act No. 19 of 2014 [text, PDF], which came into effect on December 22, amended the provisions of 22 other acts of Parliament involving matters of national security. Restrictions on the media under section 12 of the new law were found to violate the freedom of expression and the media guaranteed under Articles 33 and 34 of the Kenyan Constitution [text]. In addition, the court found that section 48 of the Security Laws, which amended the country’s Refugee Act [text, PDF] to limit the number of refuges and asylum seekers permitted to stay in Kenya, violated “the principle of non-refoulment as recognized under the 1951 UN Convention on the Status of Refugees” [UNHCR backgrounder] which is part of the laws of Kenya under the Constitution. The court had originally suspended [JURIST report] these eight sections of the new anti-terrorism law until a legal challenge by the opposition was heard by the court. Concerns regarding terrorism has sparked new legislation throughout the globe, some of which has been highly controversial. In January Pakistan President Mamnoon Hussain [official website] signed into law anti-terrorism legislation that will establish military courts for the hearing of civilian terrorism related cases. In November UK Home Secretary Theresa May [official profile] outlined the new Counter-Terrorism and Security Bill to combat ongoing national security threats. In October Canadian Prime Minister Stephen Harper [official profile] announced plans to strengthen Canada’s anti-terrorism laws in a statement to the Canadian Parliament [official website].